If you are a business owner and seeking to make presence of your website on the World Wide Web then directory submissions is the most viable option. 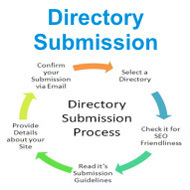 The basic aim of directory submission is to create one way links to a website. This in turn generates more traffic flow towards your website and improves the search engine rankings. This method is perhaps the best suitable and affordable option of search engine optimization. It offers huge opportunities to promote a business online. In fact, directory submissions are the most essential factor to consider while developing marketing strategies of your business. + Back links: One of the major objectives of directory submissions is to generate link building towards an e-commerce website. Generating back links are the major benefits of web-directory submissions which in turn results in more traffic flow towards a website. + Search Engine Indexing: Another major benefit of directory submissions is guaranteed search engine indexing. The search engines locate your website following the back links form other websites. If your website's link is discovered on the directory site, the spiders will follow the links to your website, thus results in increasing the visits and indexing in the databases of search engines. + Frequent visits by spiders: Search engine spiders often visit the websites present on World Wide Web to collect information for archives. The more back links a website has the more frequent the spiders will visit the website and higher a website will rank. + Anchor Text: Using anchor text on your website will eventually be hyperlinked to your website providing you an anchor- back link text from the directories. Hence directory submissions using keywords as anchor-text will boost your link reputation.